Prior to the JD570 introduction, graders of the time were straight-frame machines with solid rear axles and typically only featured front-axle steering that led to poor maneuverability. The addition of frame articulation enabled operators to work more efficiently, especially in confined areas, than any previously built grader. Its steering methods enabled operators to “crab steer,” allowing for completely new uses. The grader’s front wheels could be articulated to move on slopes, on windrows and in ditches, while the back wheels stayed on solid footing. An immense effort went into the design and development of the saddle as well. The result was a design that would allow the operator to place the blade into a 90-degree bank, or any other banking position, in less than one minute without leaving the operator’s seat. The saddle was secured to the mainframe with a unique tapered-pin design that was held into engagement by hydraulic pressure — also a grader industry first. 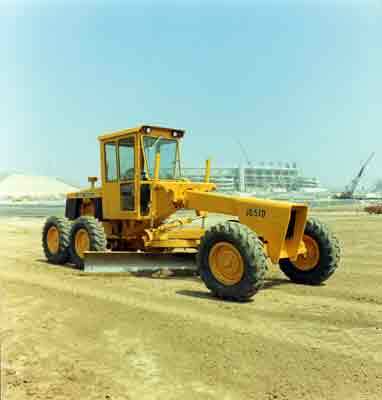 The JD570 was also the first grader, and possibly the first piece of construction equipment, to have a cab and canopy with the integral ROPS available from the factory. The year prior to its development, John Deere introduced the first commercially available ROPS for farm tractors and subsequently shared the patent for this important safety feature with the industry at no charge. The 83-horsepower motor grader incorporated a power shift transmission with eight forward and four reverse speeds, with a top speed of 21 mph. The innovative machine came equipped with a 12-foot moldboard and a 17-foot, 4-inch wheelbase and weighed in at 20,278 pounds. It also had a turning radius of just 18 feet. Production of the JD570 ran until 1971, when it was updated to the “A” series. 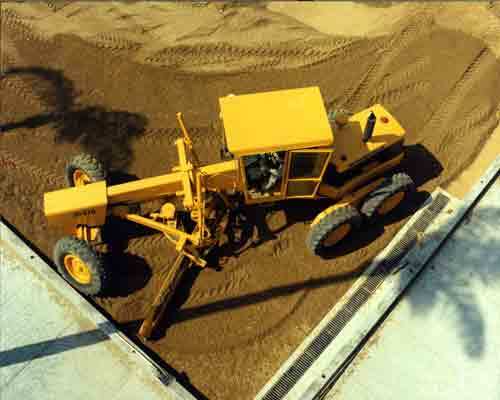 The power train configuration became the foundation of John Deere graders up until 1997. The machine also was the first motor grader to be compatible with snow wings. To learn more, visit the JD570 display at CONEXPO-CON/AGG 2017, March 7 – 11, 2017, at booth N12525. Show attendees will also have the opportunity to purchase a commemorative 50th anniversary golden 872GP scale model.